These articles were made available by Nepal News. 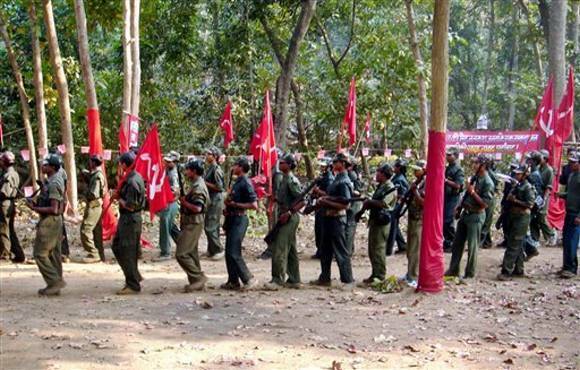 Maoist central committee discusses govt formation Maoist leaders are busy in internal discussion on how to win the confidence of the parties for a Maoist-led government. The meeting of the party’s central committee (CC), which began today, discussed a proposal presented by party chairman Pushpa Kamal Dahal ‘Prachanda’. Dahal’s proposal says the party should take the leadership of the next government by bringing all the parties in the Constituent Assembly into confidence. 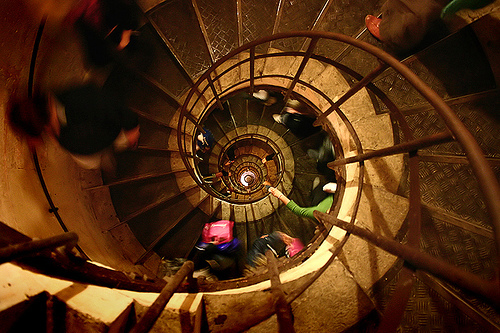 This article was written by the Conflict Study Center and was edited by Neil Horning. Federalism is an incredibly important subject in Nepal. The old Nepal was officially a Hindu state and for a long time there was an “official” nationality (Nepali) and an “official” language (Nepali). But in fact this country is extremely complex and multicultural with over 40 ethnic groups and nationalities. A large part of the excitement over the revolution is finally overthrowing the old feudal oppression of the many groups, and negotiating a new revolutionary arrangement based on equality and liberation. And that is what the word “federalism” means in Nepal — that the government is not in the name of one nationality, and the new society will incorporate and respect the living complexity of the Nepali people. Federalism in present Nepal has become a topic of great contention. Nepal has been a witness of several armed and unarmed struggles conducted by the Gurung, Tamang, Lama, Dalits and so forth. They have struggled against injustice, inequality, repression, absolutism, and for their freedom and livelihood. However, such movements could not attract much of the general population due to lack of strong organization, competent leadership, enough preparation, and strategical skills. The popular movement I of 1990 made the people conscious of their rights and duties. They were also made conscious by the world’s politics. Namely, the cultural, regional, and ethnic-based dimensions that emerged in the 21st century after the US tried to impose free market and human rights policy on the communist regimes of the 20th century. 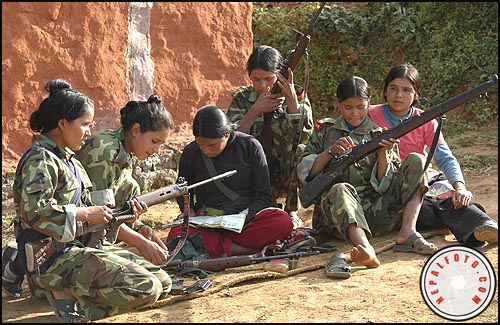 The zeal of the multi-caste, multi-ethnic, multi-lingual, multi-cultural, multi-religious, and multi-regional Nepali people was finally fueled when the Communist Party of Nepal – or CPN (Maoist) – initiated the armed conflict termed the “People’s War” on February 13, 1996. The issues of federalism, national-regional and cultural autonomy, secularism, and the right to self-determination became prominent along with the intensifying of the People’s War. Federation with autonomy has now become the prime agenda of all ethnic, regional, lingual, and cultural based groups in Nepal. There are several different titles for a federation of states: (i) Federal republic – Brazil, Germany, Nepal, and Nigeria; (ii) Federation – Russia, Saint Kitts, and Nevis; (iii) Republic – Argentina, Austria, India (Indian Union), Iraq, and Sudan; (iv) Confederation – Switzerland; (v) Commonwealth – Australia; (vi) Bolivarian republic – Venezuela, (vi) Federal democratic republic – Ethiopia; (viii) Federal states – Micronesia; (ix) Federative republic – Brazil, (x) Kingdom – Belgium and the Netherlands; (xi) Union – Comoros and India; and (xii) United Mexican state – Mexico. Bosnia and Herzegovina, Malaysia, Canada, United Arab States, and United States of America have none. The following is an excerpt from ‘People’s Truth‘ bulletin number 1, the publication that was launched from India after the banning of ‘People’s March’. people’s Truth Bullettin no: 1 articles are pasted down below. On Feb.14 2008 the Ernakulam District Magistrate issued an order banning the publishing of the magazine in the district. The order was issued on the eve of Com. Kutty coming out of the jail on bail where he had been incarcerated on false charges. The real purpose for the arrest is now clear: to stifle freedom of expression in the country. The People’s March is an independent magazine that fearlessly seeks to present the facts without facing any pressure from advertisers or the government to sing to any tune. It therefore fearlessly presented the reality in the country and worldwide, firmly standing by the oppressed masses against the moneybags. It also honestly portrayed the revolutionary and democratic movements in the country, not resorting to government-style propaganda or distortions of the gutter media. This it seems the government feared. So they first arrested the editor and when still they could not stifle his voice they proceeded to ban the magazine. This article appeared on Nepal News. CPN (Maoist) and CPN (UML), the two major left parties that together form majority in the Constituent Assembly, have joined forces in their bid to stop caretaker Prime Minister Girija Prasad Koirala from attending the SAARC summit being held in Sri Lanka Aug 2-3. Maoist chairman Pushpa Kamal Dahal ‘Prachanda’ and UML general secretary Jhala Nath Khanal reached an understanding, during a meeting held at UML’s parliamentary party office Tuesday, to bar Koirala from attending the summit. The two parties also agreed to table a motion at the CA to this effect on Wednesday. Maoist and UML leaders are learnt to have already started work on the draft of the motion. Maoist chairman Pushpa Kamal Dahal ‘Prachanda’ has warned that his party would launch nationwide agitation if Girija Prasad Koirala becomes prime minister, again. Speaking at a programme organised by Muslim Mukti Morcha in the capital, Saturday, Prachanda claimed ‘foreign forces’ were plotting to make Koirala PM again. 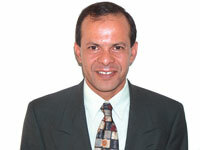 “Domestic and foreign forces are conspiring to make Koirala prime minister. If that happens, that will be against the people’s mandate. We will bring people in the streets against such move,” said Prachanda, without elaborating who he meant by such forces. One of the well known signs of a true revolutionary crisis is that some of the most backward forces in society sometimes “catch the fever.” In Nepal there have been mutinies among the police rank-and-file against the terrible work conditions and haughty feudal treatment of their superiors. Kasama is publishing two articles on this. this second one is from the revolutionary Nepali newspaper The Red Star. 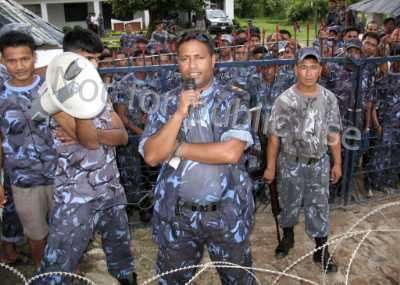 For the first time in the history of Nepal, low ranking policemen of the Armed Police Force (APF) from the Chandika Battalion of Parbat district and the Bageswori Battallion of Nepalgunj (a town of western Nepal) revolted against the repression of their high level officers. The mutiny of the junior policemen against their officers started first in the Parbat district, where the junior policemen accused the officers of treating them badly, beatings, prejudice, of providing poor quality rations etc. The policemen have simple demands, such as edible food, the ending the abusive behavior, the payment of the allowances the government had promised for their work on Constituent Assembly election, holidays to visit their families and homes etc. Nepal Police’s Revolt: An example of state lawlessness, or the product of revolution? One of the well known signs of a true revolutionary crisis is that some of the most backward forces in society sometimes “catch the fever.” In Nepal there have been mutinies among the police rank-and-file against the terrible work conditions and haughty feudal treatment of their superiors. Kasama is publishing two articles on this. Incident IV: Against the low quality food, rampant ill-treatment and discrimination not by others, but by their own seniors, about 500 Nepal Police rank and file seized the Riot Control Battalion and the Mid-western Regional Company at Nepalgunj (about 650 km west from Kathmandu) on July 12, 2008. They took seven-senior officers including one SSP (Senior Superintendent of Police), 3 SP (Superintendent of Police) and others hostage. Those hostages were identified as SSP Parsuram Khatri, Chief of Bheri Zone, SP Ghanashyam Bhatta, Chief of the Riot Control Battalion, and SP Akhtar Ali Ansari, Chief of the Mid-western Regional Company. The rank and file has put-forward a 20-point demand to the state. To make the officers’ captivity publicly known, the rebels fired 15 rounds onto the air from the Battalion premises. As the security and law and order providers themselves were involved in terrifying the people, Nepalgunj became tense on July 12th and 13th. Moreover, the agitating policemen warned surrounding pedestrians not to walk near the road. They barricaded the main gate with barbed wire, and shouted for action against the corrupt boss and administration. This article was published by The Economist. Although coming from a thoroughly bourgeois perspective that Kasama does not endorse, it provides some important background information on the peoples war in India, including information on the Salwa Judum counter-insurgency movement. GANESH UEIKE, secretary of the West Bastar Divisional Committee of the Communist Party of India (Maoist), seems a gentle, rather academic, man, who does not suit his green combat fatigues or clenched-fist “red salute”. 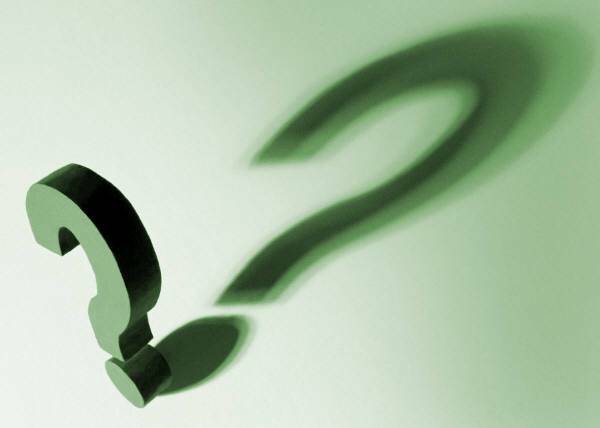 He shuffles dog-eared bits of paper from a shabby file in his knapsack and writes down the questions he is asked. He answers them in slogans that he gives every appearance of believing. He wants to “liberate India from the clutches of feudalism and imperialism”. The rare interview took place last month, in a thatched shelter in a clearing in the Bastar forest in southern Chhattisgarh. The spot was some seven hours’ walk from the nearest road, and there had been a day-and-a-half’s wait for such a “big leader” to emerge from a hideout even deeper in the jungle. His party, he said, was facing renewed suppression, because “the resources of finance capitalism are facing sluggishness in their development, and are looking for new routes,” such as the mineral riches of this forest. This article was taken from Democracy and Class Struggle. Resist Now Resist issues the following report. The rightist alliance of NC, UML and MJF has put the future of PLA in question. Recently, a Congress leader said: ‘Considering the mutinies in the armed police barracks, the integration of the PLA into the National army will be a disaster. From the beginning, the parliamentary parties have been giving excuse after excuse so as to not integrate the PLA into national army. The rightist alliance wants to liquidate the PLA and derail the peace process. In the PLA cantonments, there is always a lack of basic infrastructure- water, electricity, and buildings. This article appeared in The Red Star. Two and half years ago, on November 2006, the Communist Party of Nepal (Maoist) and seven parliamentary parties reached a 12-point understanding; an agreement to end the monarchy and establish a republic in Nepal through the election of a Constituent Assembly. 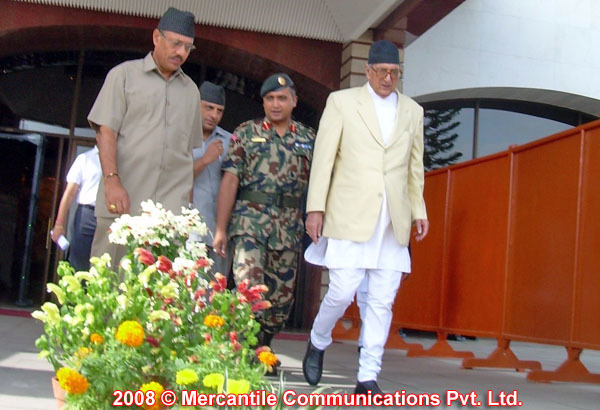 This understanding ended the monarchy and a Federal Democratic Republic was established; the historic CA election of 10 April 2008 elected the Maoist as the single largest party of Nepal. 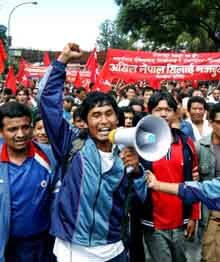 There was a nationwide expectation among the Nepalese that the Maoist Party will form the government. Even the parliamentary parties themselves recognised the situation, although the CPN (Maoist) didn’t have a majority to form the government alone. 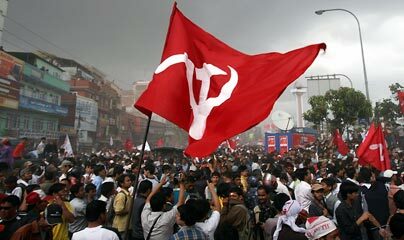 Since the Maoist emerged as the largest party through the CA election too, the parliamentary parties began to plot conspiracies to stop the Maoist taking power. En line to this attitude, the two third provisions to remove the Prime Minister was changed; Maoist was forced to abandon the President betting this post against monarchy. Having done that, the parliamentary parties wanted to dissolve the PLA, abandon progressive land reforms and the restructure of Nepalese society. Finally UML broke away from the understanding of forming a government with the Maoist, and a coalition was formed between the NC, UML and MJF. 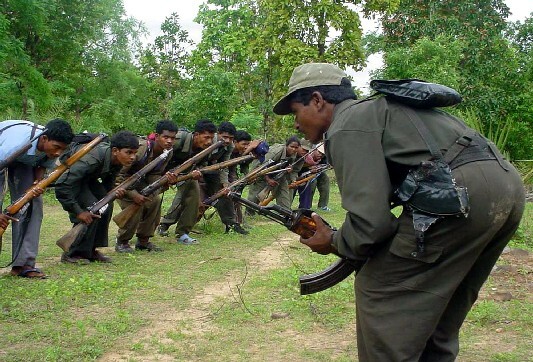 This was an undemocratic, unnatural and vengeful action against the Maoist. He criticised the newly elected President of not even notifying the Constituent Assembly — which is also acting as the parliament — of the Prime Minister’s resignation even though so many days have passed. This article was taken from Nepal News. Political parties represented in the Constituent Assembly (CA) have advised the CPN (Maoist) to take initiative for the formation of a unity government. At the all-party meeting on Monday the parties suggested that CPN (Maoist) being the largest party in the CA should try to garner consensus to lead the next government. 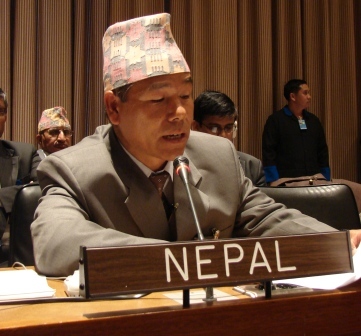 However, Nepali Congress (NC) maintained a symbolic silence on the matter, it is learnt. During the meeting organised by Maoist party at its parliamentary office in Singha Durbar to mainly discuss the formation of new government, the issue of Nepal’s participation in the SAARC summit and the episode of Vice President taking oath in Hindi also cropped up. This article was provided courtesy of the mailing list Maoist Revolution. in Orissa’s Malkangiri District. The search operation to nab the Maoists is being jointly launched by Special operation group units and Central Reserve Police Force (CRPF) in Mottu police station area. Additional police forces are being mobilised to ‘strengthen’ the combing operation in the area. This article was reposted from Democracy and Class Struggle. The NC leader Dr. Minendra Rijal speaking at the program summarily rejected the Maoists’ preconditions. “The NC-UML-MJF has formed a democratic alliance which will continue to thrive until the constitution making process is complete”, is what Dr. Rijal said. “However, if the Maoists want to join our alliance, we will accept them with open hearts”, Rijal added apparently cutting a joke at the Maoists. Comrade Prachanda later talking to the reporters predicted that if the newly formed unholy alliance between the NC-UML and the MJF does not come to an end, it may invite a greater conflict in the country. “There is no way we will join the unholy alliance”, Prachanda made his party’s stance clear. 21 July 2008. A World to Win News Service. The proposed U.S.-India nuclear treaty represents a significant and dangerous development for the people of the region and the world. The debate in the Indian parliament, one of the most bitter in recent years, bringing the Congress Party-led government to face a vote of confidence set for 22 July, has been thoroughly reactionary on both sides. Sonia Gandhi’s Congress Party is salivating at the prospect of further tying India’s destiny to the U.S. The Hindu fundamentalist (or Hindu fascist, as it’s often called) Bharatiya Janata Party (BJP) argues that the treaty might hinder India’s ability to use its nuclear weapons as it sees fit. The formerly pro-Soviet so-called Communist Party of India (Marxist) cloaks its arguments in terms of opposing subservience to the U.S., and might be more open to similar deals with European powers, but it is no less enthusiastic than the BJP in supporting a nuclear-armed Indian expansionism. The U.S. has intervened by baldly proclaiming: this is the best deal you can get, and you’d better take it or you’ll be punished. Under the proposed accord, which the Bush administration has pushed for relentlessly, Washington would give India access to American nuclear power plant technology and fuel. 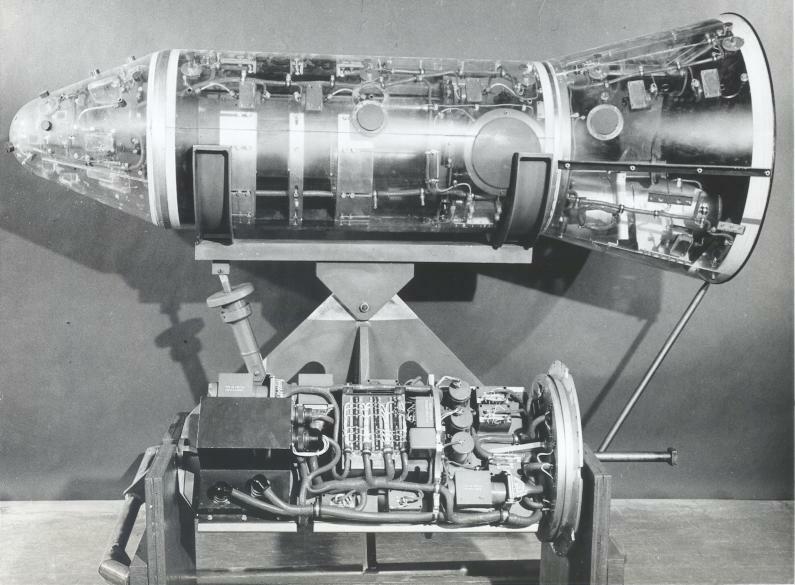 This is supposed to be strictly limited to civilian nuclear projects, but the agreement is being voted at a time when the U.S. is threatening that “all options are on the table” to keep Iran from pursuing its own uranium enrichment programme, correctly stating that there is no wall between civilian and military nuclear technology. Further, while Iran has signed the Nuclear Non-Proliferation treaty and is therefore subject to international inspections, India has refused to do so. The new agreement would allow for inspection of India’s nuclear power plants but shield its military installations from prying eyes. Experts have pointed out that providing India with nuclear fuel for its power plants would allow it to concentrate its resources on enriching uranium for military use. Most importantly, India has nuclear weapons; Iran does not.